What are you highest creative and career priorities right now? Do your daily actions reflect those priorities? 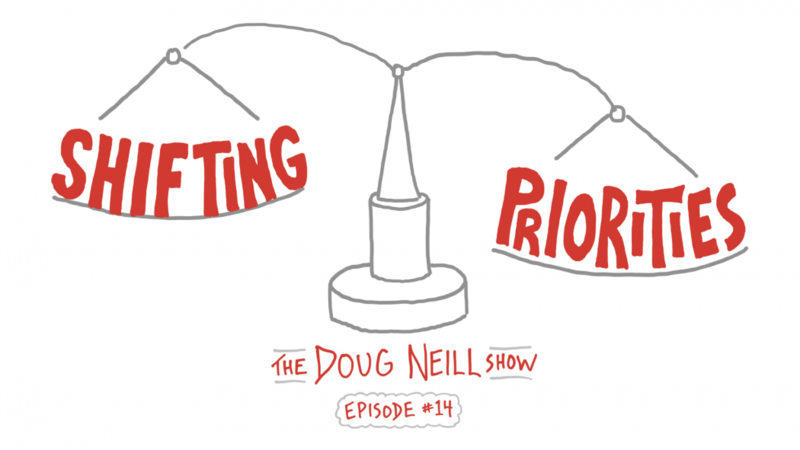 In this episode I share a shift in my own priorities after the completion of a big project. The reason that I’ve been rethinking my priorities this week. The new resource that I just completed: Build an Online Course with Sketchnotes. The question I’m facing: what next? What should take over the top spot on my list of priorities? A look at my top five priorities for the foreseeable future. The things that I make and share publicly: the blog. The things I make and sell to fuel my economic engine: these courses. Here’s the episode in which we explore Jim Collins’ ideas of Hedgehog Mode and the Flywheel Effect. Steven Pressfield’s The War of Art. My top priority: weekly video tutorials and sketchnotes at Verbal To Visual. My second priority: a little bit of time on the new course and a little bit of time improving old ones. My third priority: building a resource connected to this podcast! My fourth and fifth priorities: developing my writing and music skills (more on that in the future).